It’s the first Friday in October and by now you know that means 3x points on dining when you use your Chase Sapphire Preferred card. Is it a huge bonus, no – unless you can convince the gang at work to pay you cash and you can put everybody’s meals on your card! 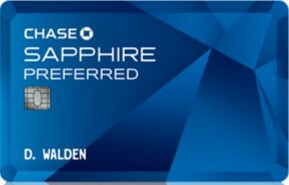 Chase will be discontinuing this bonus starting in January 2016, so get those bonus points while you can!